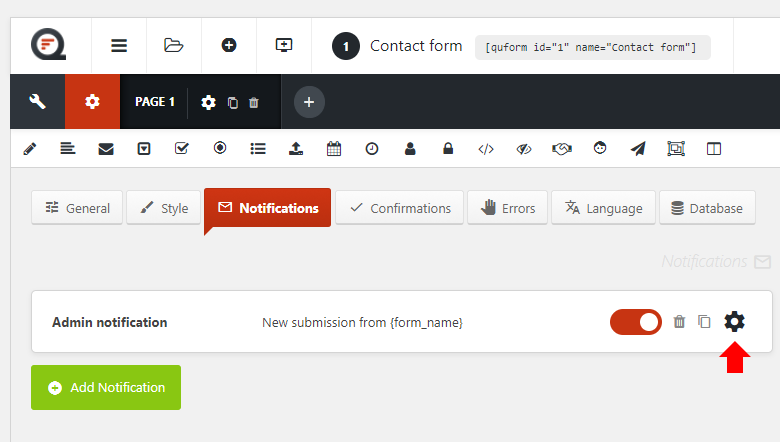 Quform WordPress v2 DocumentationFAQEmailHow do I add email recipients (To, Cc, Bcc)? Go to Edit Form → Settings → Notifications, then go to the settings for the Admin notification. Scroll down to the Recipient setting and click Add Recipient. Select the type of recipient (To, Cc, Bcc or Reply-To). Then, enter the email address and optionally the name of the recipient. Save the notification settings and then save the form, the notification email will now also be sent to the new recipient.